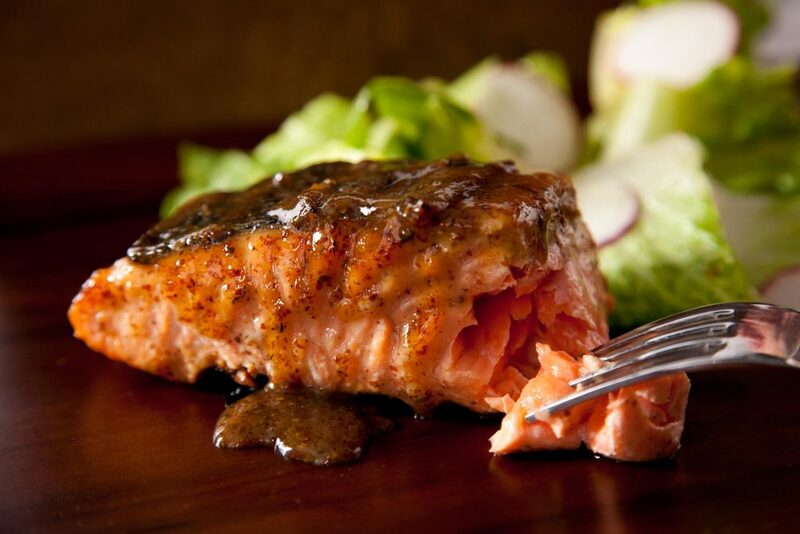 The perfect blend of 13 herbs and spices devised to make absolutely the best rub for your salmon entrée. 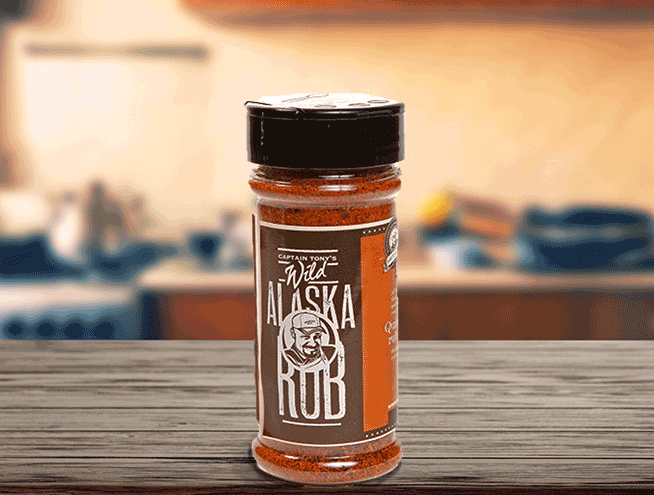 This rub is so versatile it works excellent with any shellfish, meats or vegetables and is sure to be kept at the front of your spice cabinet. Sprinkle lightly on all sides of fish before cooking. 100% Natural. No preservatives. 6 oz. You must be logged in to post a review. If you don't have an account, consider creating one. Exclusive discounts and offers sent by email. FREE SHIPPING within the 48 United States. Exceptions include Alaska, Hawaii, and US Territories. International deliveries not available at this time. Overnight rush shipping is available with $60 expedite fee. Please read 0ur Free Shipping Policy. All standard website orders are shipped via FedEx/UPS Ground service unless the “Rush Delivery” option is purchased and then FedEx/UPS Overnight service will be used. We only ship orders that will deliver Tuesday – Friday for any service type used, including “Rush Delivery”. We do not ship for delivery on Saturday – Monday. All orders are shipped Monday – Thursday (except holidays and inclement weather). There are occasionally situations due to weather that we will hold orders to be shipped at a later date. Thursday shipments are ONLY for Ground service with 1 day transit times, or for “Rush Delivery” orders. Free shipping is only available for addresses within the Contiguous United States (lower 48 states). Free shipping is not available for Alaska, Hawaii, US territories, and international deliveries. A mimimum order subtotal may be required to receive free shipping. Purchasing a specific product may be required to receive free shipping. Orders are shipped Monday – Thursday (except holidays) and arrive within 1-2 days. Orders placed by 10am CST Monday – Wednesday will ship that day. Orders placed between 10am CST Wednesday and 10am CST Thursday, will ship on Thursday ONLY if requiring 1 day of transit. Otherwise, if the order is placed on Wednesday after 10am CST and requires 2 days of transit, the order will be shipped the following Monday. Orders placed after 10am CST Thursday – Sunday will be shipped the following Monday. You will receive an emailed confirmation with your shipping schedule once your order is received. Only orders placed that select the “Rush Delivery” option at checkout for an additional fee will be shipped via Overnight service. Fees for “Rush Delivery” are an additional $85 for destinations in the continental U.S.
Orders placed by 10am CST Monday – Thursday will ship that day and arrive the next day. Orders placed after 10am CST Thursday – Sunday will ship the following Monday. We DO NOT ship to APO/FPO, PO Boxes or Rural Routes. All orders shipping to Alaska, Hawaii or US Territories will be charged $110 for rush delivery. Online orders receive emailed order confirmation with your order number in the subject line. Once the order begins to move, your tracking number will be emailed so you can track your package. 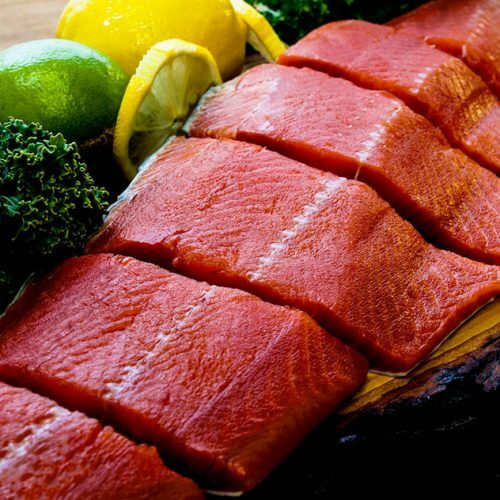 Wild Alaska Salmon & Seafood Co. will also be tracking each order to ensure proper delivery. Occasionally there are weather delays or delays during peak holiday periods that are beyond our control. In the event of any delay, we will notify you as soon as possible with a status update. We strive to deliver your order on time to the address you designate. Virtually all of our deliveries are successful and we want to make sure yours is among them! We do not require a signature upon delivery. The courier will normally knock on your door and, if no is available, will leave your package at your door. However, it is at the sole discretion of the courier whether or not to leave a package if no one is available. We are not liable for orders that are not retrieved in a timely manner. Seafood is more perishable than many perishable foods. Improper storage of raw seafood products may result in foodborne illness. Carefully open your package, ensuring that you do not rip or puncture the vacuum sealed packages containing your seafood products. Seafood products received with very slight thawing may be safely re-frozen with no perceptible loss of quality or nutritional value. It is not recommended to re-freeze fully thawed seafood products. Seafood products should be kept frozen, or refrigerated if consuming immediately. 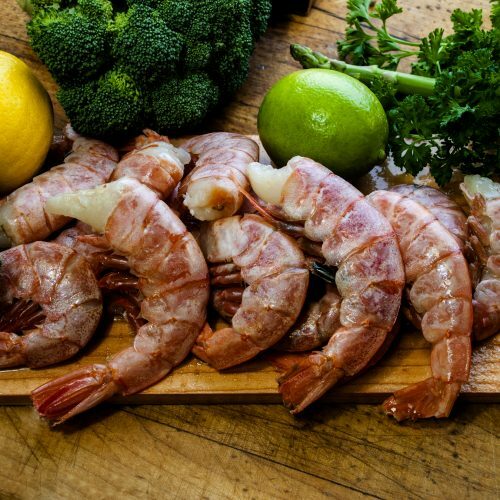 We recommend thawing seafood products in your refrigerator. Unopened, vacuum sealed seafood packages should be thawed overnight in the refrigerator and then cut open once fully thawed. DO NOT KEEP SEALED VACUUM PACKED RAW SEAFOOD IN YOUR REFRIGERATOR FOR MORE THAN 2 DAYS. After opening raw seafood, it is best to consume within 3 days of thawing. Unopened, vacuum sealed smoked seafood packages can be refrigerated for up to 2 weeks. After opening your smoked seafood, it should be kept in the refrigerator and consumed within 2 weeks. We take great pride in our products and ensuring that every customer is completely satisfied with their order. 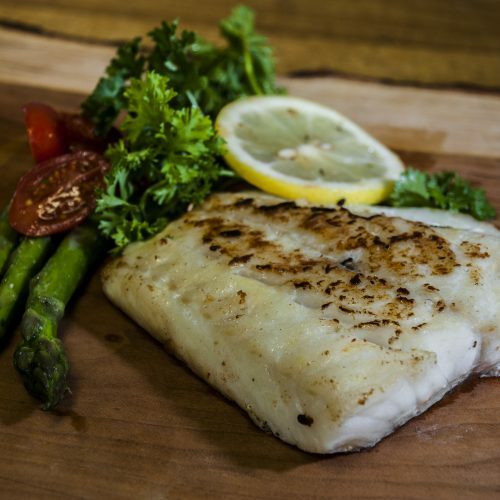 If, for any reason, you are not completely satisfied, please call us at (907) 290-0992 or email us at info@wildalaskasalmonandseafood.com so we can make it right.